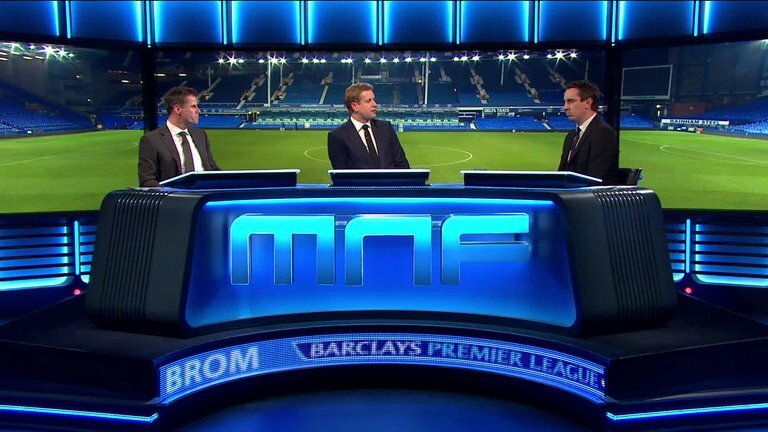 The MNF hosts tells Loaded about scepticism, grassroots football and the nightmare of last-minute goals. For someone with such a high pressure job, Ed Chamberlin couldn’t be more friendly and relaxed if he tried. He was once known as the right hand man on TV for the studious Gary Neville on Sky Sports, then Jamie Carragher was introduced and Chamberlin became the ringmaster for their fireworks. Since Neville departed to become Valencia manager, it’s been Chamberlin and Carragher bossing Monday Night Football – and it’s a partnership the Southampton fan was initially sceptical of. Chamberlain made a name for himself as the referee for the Monday Night Football debates between football’s odd couple, Carragher and Neville. The softly-spoken presenter has the job most football fans would dream of, sitting in listening to two of the brightest minds in football talk about the issues of the day. But Chamberlin knows it hasn’t been all sunshine and rainbows since he took the reins as presenter from Richard Keys in 2011. The pair’s debut was in a game between Manchester City and Swansea. “We were both so nervous, but I thought Gary might have been the stabilizing influence. As the countdown went to that very first show, I leaned across to Gary, saying ‘You nervous?’ because I thought he was doing a great job of keeping me calm. Monday Night Football has certainly gone from strength to strength since Chamberlin’s nervy start to become a weekly lesson in football. Before that, Chamberlin got his beginnings with Sky Sports News before moving onto Super Sunday – a place that provides its own dramas – as seen with Danny Welbeck’s last minute winner for Arsenal over Leicester last Sunday. That potential title decider proved to be a perfect example for Chamberlin and his punditry team to wing it. Welbeck’s winner was reminiscent of one of Chamberlin’s most famous moments – anchoring Manchester City’s first Premier League title win, deep into injury time against QPR when City seemed to have blown it. Chamberlin’s own football skills are minimal – but it’s helped give him a love of football away from the glamour of the Premier League at grassroots level. He’s one of the judges for Budweiser’s Dream Goals campaign, picking the best goal at amateur level. “I was your pretty typical Hampshire schoolboy, he recalls. “As a Southampton fan, I wanted to be the next Kevin Keegan, then Steve Williams then I wanted to be Matt Le Tissier. I lived the dream for a little while. But nothing can be as much fun as trying to keep Jamie Carragher at bay. And it seems like Ed Chamberlin knows that as well as any fan. 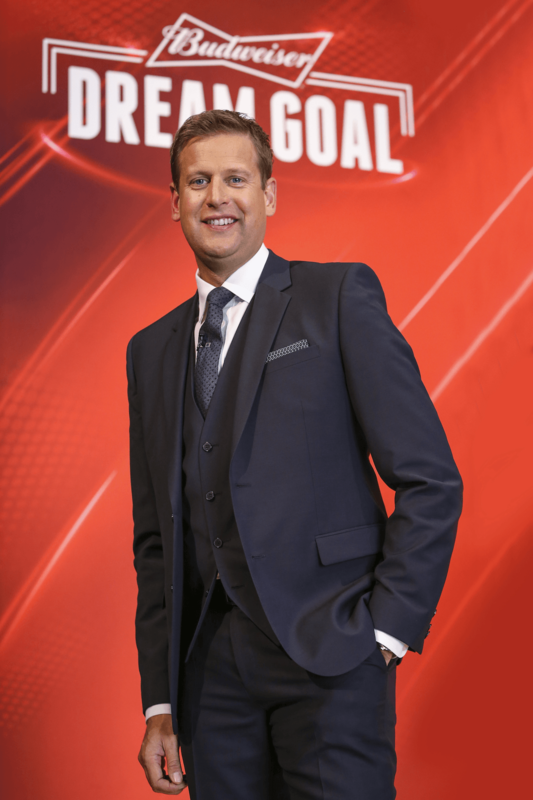 Ed Chamberlin is a judge on Budweiser’s Dream Goal campaign for the best amateur level goal, with fellow judges Jamie Carragher and Jamie Redknapp. See here for how to enter. The winner gets £50,000 to support their favourite non-league club.